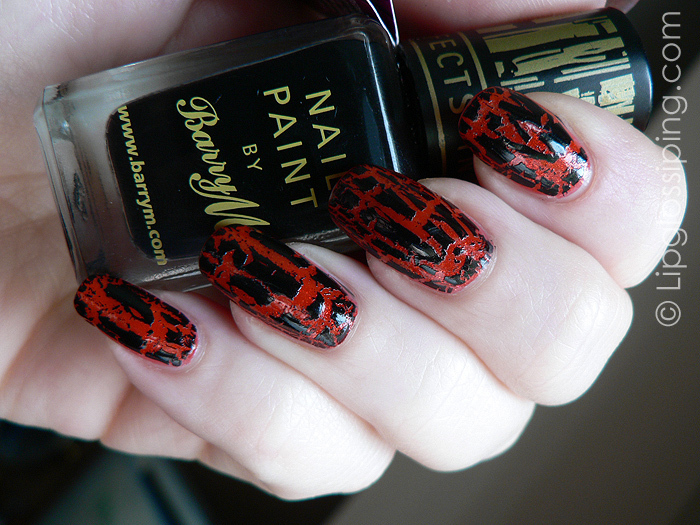 That looks a lot like the new IsaDora graffiti nails, it also dries matte. I had a MaxFactor one about 10 years ago that dried glossy, but the cracks were different (have no better way to describe this). Yikes, I wanna run and hide from your nails, haha that’s fab! I have never seem anything like this. It is really cool. I need this in my life. I bought that a few days ago, and really like it, except even after top coat it still is a bit bumpy, which annoys me as it makes me pick at it! need to get some neon colours to use underneath it now! I’ve been hunting about for this since I heard about it too. Did you find it in your boots? I have this too, I did a post on it the other day and I did exactly the same as you.. 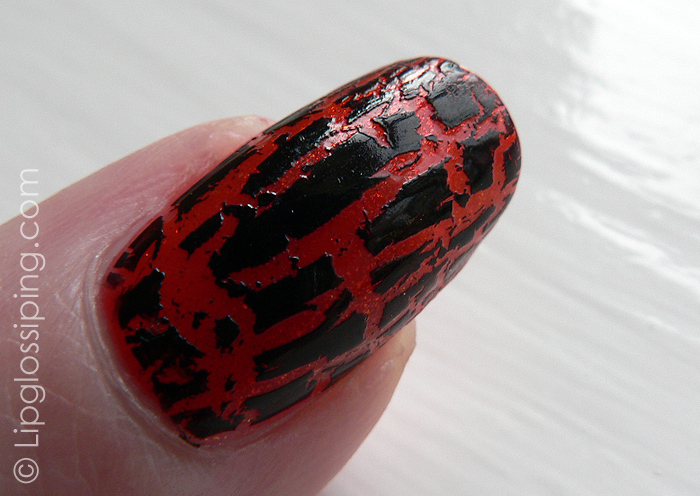 Applied it over red (Glitter red), then felt it needed some gloss so did a topcoat.. and hated it! I agree too, it needs to be over pale colours. Also with the glitter it meant the ‘crackles’ were tiny, or at least not the long streaks it appears on the tag. I don’t like it either :/ However I might pick up a bottle for over a bright orange for Halloween or something, but it does nothing for me. Barry M polishes are on 2 for £5 in Superdrug as well, although I have no idea if this part of it, I just spotted them today. I saw this yesterday in superdrug. Couldn’t make up my mind – after seeing the photos I think i’m too much of a perfectionist and it would drive me insane! For those hunting it, I found mine in Topshop on Oxford Street, they had a few in there yesterday! I absolutely love it, and it’s super cheap too. You know your random layering makes a great Halloween combo!! !